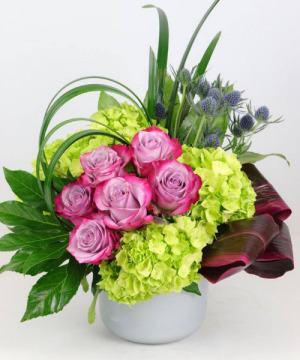 Order within 10 hours 24 minutes for Same Day Delivery! 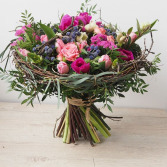 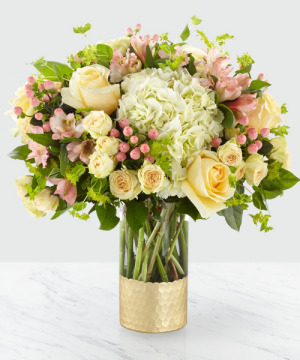 This Stunning design is created from a fresh collection of Petite spring blooms in shades of pinks. 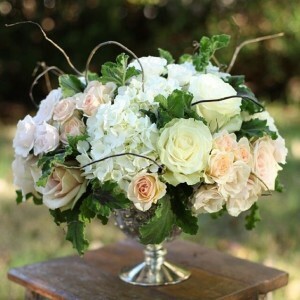 It is surrounded by unique and interesting twigs & an assortment of greens "Birds Nest" . 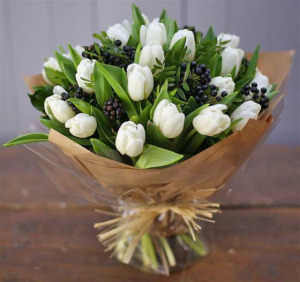 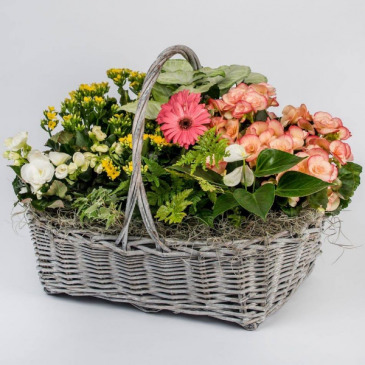 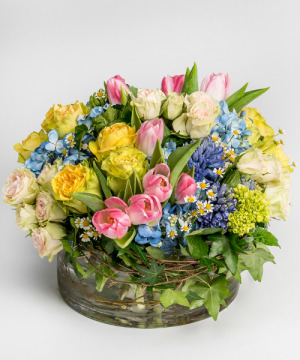 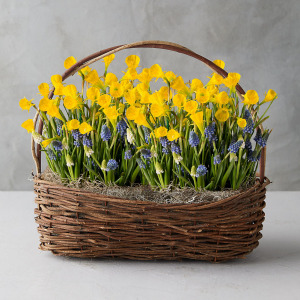 This is bouquet can be purchased as a gift wrapped hand tied bouquet or designed in our signature cylinder glass vase or Gift box. 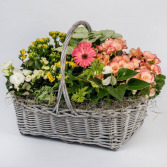 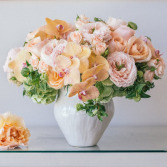 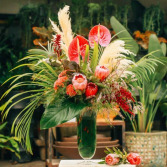 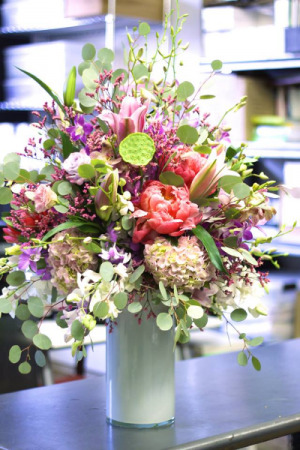 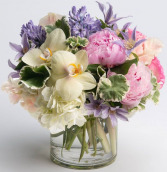 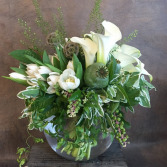 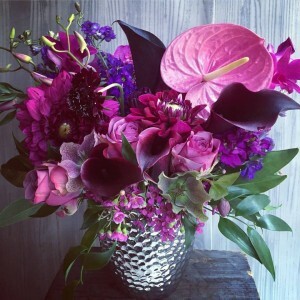 Price 1- Sizes 14" X 13W Price 2 - 15"H X 14"W Price 3 - 16"H X 15"
A beautiful display of seasonal Florals such as hydrangeas, orchids, peonies, lilies- dressed with silver dollar eucalyptus. 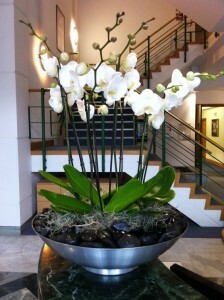 An elegant arrangement of long lasting orchids for the Service or Home.